As some of you may recall, last year, at about this time, famed character actor Stephen Tobolowsky brought a live version The Tobolowsky Files to The Bell House. Since then, a couple of things have happened, Stephen’s podcast was picked up by PRI and is now and nationally syndicated public radio show, and he published a well received book of stories called The Dangerous Animals Club. 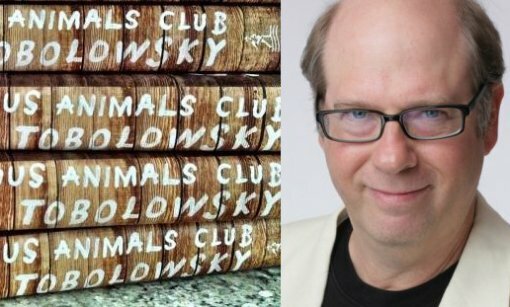 As some of you may also recall, The Dangerous Animals Club is based on stories heard on The Tobolowsky Files, which spun out of the film, Stephen Tobolowsky’s Birthday Party. Now that that long introduction is out of the way, I’m pleased to announce that (thanks to my good efforts) Stephen is coming back to NYC on Feb 16 to present an evening of storytelling from The Dangerous Animals Club as well an introduction to a screening of one his most well known films, Harold Ramis’ classic Groundhog Day. If you’d like to enter win a pair of tickets to see Stephen’s storytelling show and the Groundhog Day screening at the 92Y Tribeca on Saturday, Feb 16, go to www.bumpershine.com/tobo and fill out the contest entry form. Contest ends Feb 1, at 11:59 PM ET, US residents only, one entry per email address, one bonus entry awarded every time a friend enters through a shared link.